Save AED 0 (0%) Earn 613 Shukrans What is Shukran? Shukran is the Landmark Group’s award-winning loyalty programme in the Middle East, which allows you to earn Shukrans when you shop any of our brands. Ideal to travel with two babies at one time, this double stroller is quite a worthy acquisition. 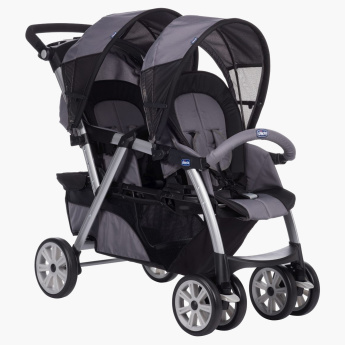 Featuring adjustable canopies, this double stroller offers maximum protection to your kids. The adjustable seats and interchangeable armbars make this stroller high in functionality and convenience.